omid (mashhad, Iran) on 12 January 2019 in Animal & Insect and Portfolio. Excellent transportation ;-) beautiful capture ! Genial captura, asombrosa y original. ***** Buenos y felices días. Wow, so interesting capture !! Hitching a ride with a free pass. This is adorable. Fantastic Omid and also a nice chosen title. That's a smart bird ;-) Wonderful moment!! Wow...Incredible ! Superb capture ! What a ride this bird must have. Caught at the exact moment. Hard to believe. 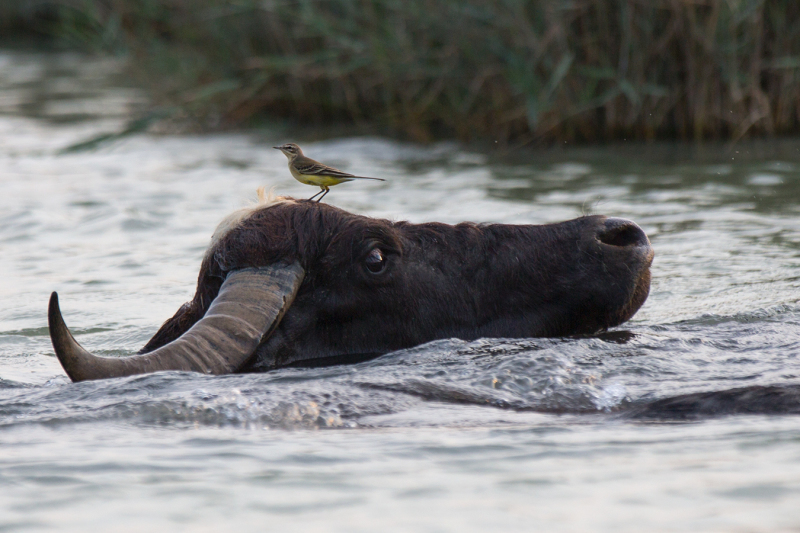 The buffalo is in no position to argue with the rider. ;-) A wonderful image. Yes, really a good shot !!! This makes me smile. Wonderful.